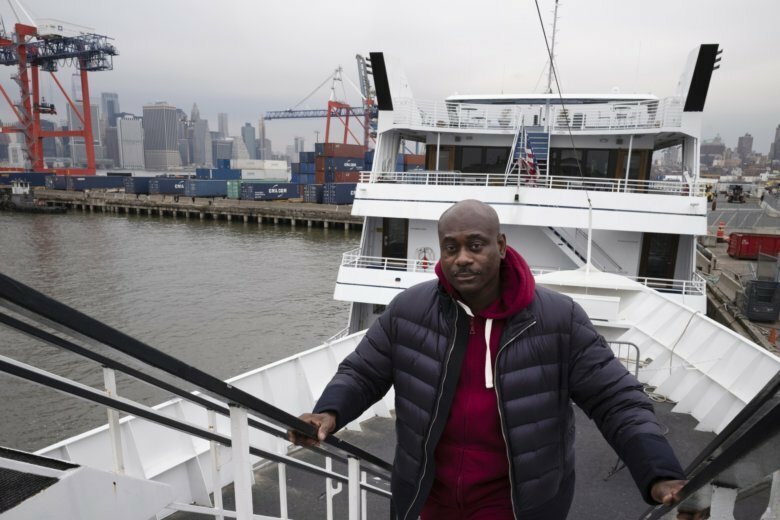 NEW YORK (AP) — Dwayne Braithwaite is a rarity in New York City’s sightseeing cruise industry: a black owner whose raucous party boats are filled with mostly black patrons from the city’s West Indian community. So, when his vessels were ousted from city-owned docks in Brooklyn last summer while booze cruises with white owners continued to sail, Braithwaite filed a lawsuit alleging racism and accused the city contractor that runs the docks of punishing him for not paying kickbacks. “Why am I getting shrunk down to nothing?” Braithwaite told The Associated Press ahead of a court hearing on his allegations scheduled for Wednesday. The city and its contractor, Dock NYC, tell a different story. They say Braithwaite and his vessels, the 157-foot (48-meter) Capt. JP2 and the 119-foot (36-meter) Nautical Empress, violated the terms of their docking contracts at least seven times in just 77 days — departing late, blasting loud music and blocking commuter ferries by tying up in the wrong spot. They’ve also said Braithwaite wouldn’t turn over security video from his vessel last May after an onboard argument among patrons spilled into the street and led to one or two gunshots. The city said another sightseeing cruise operator was also booted for safety and security violations within the last year. Braithwaite said the termination of his docking permits cost him a season’s worth of business shuttling revelers to the Statue of Liberty and around New York Harbor, and sent him scrambling to other docks to keep his business afloat. Braithwaite, 47, tried and failed in court twice before to get his permits reinstated after Dock NYC, previously known as Billybey Marina Services, and the New York City Economic Development Corporation revoked them in mid-August. This time, he and his lawyer, Marc Held, say they have witness statements including a security guard for Braithwaite’s vessels who said in an affidavit that he saw other boat owners paying kickbacks or bribes to people running the docks. Braithwaite, who’s been in the sightseeing cruise business for 12 years, said a dockworker once referred to him and his clients as “animals.” He also complained that his clients were banned from tailgating before boarding, but not non-black clients of non-black-owned vessels. Matthew Kwatinetz, the executive in charge of the city entity that oversees the public docks, said in an affidavit that it wasn’t aware of Braithwaite’s allegations before it directed Dock NYC to terminate his permits, and had not heard any complaints about corruption from other owners. The decision to boot him from the waterfront was based solely on the violations Braithwaite’s vessels had racked up, Kwatinetz said. “We are confident this latest motion will be rejected, just as state courts have consistently rejected the owner’s prior motions,” law department spokesman Nick Paolucci said.